City Uses App to Alert People Trained in CPR of Nearby Emergencies They Can Help With | Arleta Neighborhood Council City Uses App to Alert People Trained in CPR of Nearby Emergencies They Can Help With | Arleta Neighborhood Council | Making Arleta, CA the Greatest Neighborhood in Los Angeles. One Day at a Time. 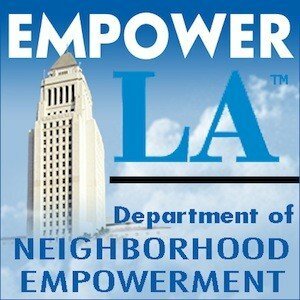 LA partners with PulsePoint to empower residents to help save lives. The PulsePoint app sends alerts to its users at the same time fire department dispatchers are notifying emergency crews; guides users through the CPR steps; and also shows the location of nearby defibrillators. The alerts are only sent out for cardiac arrest victims who happen to be in a public area. Health privacy and safety concerns prevent alerts to be sent out on people suffering heart attacks at private residences. The app also displays data about ongoing and recent emergency calls handled by the Los Angeles Fire Department, which gets about 1,200 calls daily, about 85 percent of them for medical emergencies. The mayor announced the app with Fire Chief Ralph Terrazas at Woodrow Wilson High School in El Sereno, where 120 students have been trained in CPR. “This app connects trained lifesavers who may already be on scene with people who need immediate help, when seconds count the most,” Garcetti said. “I am excited that Angelenos have another crucial tool at their fingertips that can help them further engage with their communities and fire department,” he said. Anyone trained in CPR, whether they are off-duty public safety responders or an average citizen, can download and use the app, which is available for iPhones and Android devices. The app is also in use in areas covered by the Los Angeles County Fire Department, which integrated the app last summer. The creator of PulsePoint, Richard Price, is a former Bay Area fire chief who was on break eating at a restaurant when a person in the next building had a heart attack. Price was not monitoring the dispatch system and did not learn about it until the fire trucks pulled up.